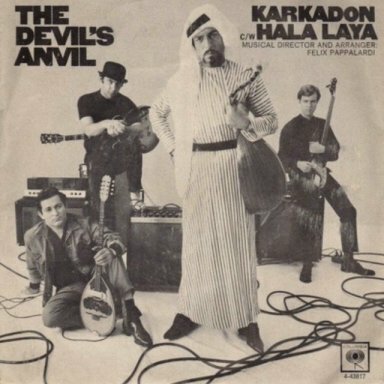 The Devil’s Anvil were a group of Arab-American musicians playing the New York folk and rock club circuit in the mid-’60s. They differed from virtually every other group experimenting with Eastern sounds because though they were rock musicians deeply rooted to the folk traditions of their heritages, and they played the Anatolian instruments associated with them. 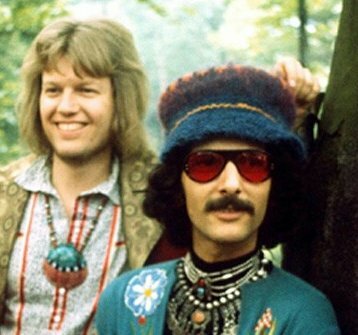 Among the members of Devil’s Anvil were Felix Pappalardi, then a house producer at Columbia, and Steve Knight, who partnered with him, and Leslie West and Corky Laing in Mountain. Knight was a founding member of Devil’s Anvil, playing rhythm guitar, bass, and bouzouki. Other members included the excellent lead guitarist Jerry Satpir, Eliezer Adoram on accordion, and Kareem Issaq on vocals and oud. Pappalardi produced the set and added tamboura and durbeki (dumbek). Hard Rock from the Middle East is the only album issued by the group. 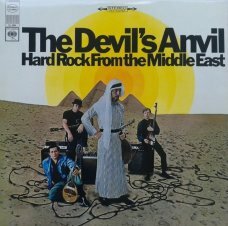 They had the unfortunate karma of having their album released at the height of the Arab-Israeli war and no one would touch the recording — check out the cover and it’s easy to see why. That said, this is truly a forgotten classic. The music found here is often sung in Arabic, its arrangements walk a tightrope between the modern psychedelia of the day and centuries-old traditional folk modalities and melodies. There is no camp factor in these proceedings, and each member is a heavy hitter in his own right. According to the liner notes, Pappalardi says that the group would back stars on the Middle Eastern circuit when they came through New York. Tracks such as “Shisheler” and “Karkadon” (both tunes from antiquity) illustrate the sound of the set ideally. 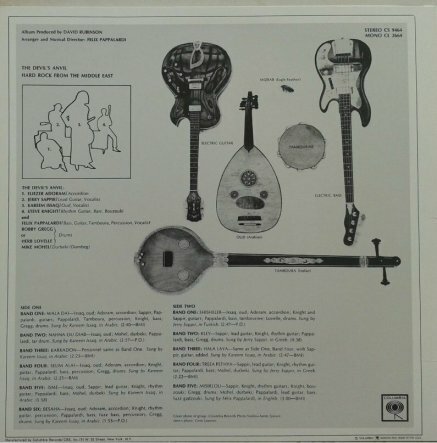 Amid the electric guitars that are at the forefront of the sound, oud, dumbek, and bouzouki flood the backdrop. Elsewhere, such as on the wailing opener “Wala Dai,” the addition of studio drummer Bobby Gregg and an uncredited Farfisa organ make the music take on a full rock personae, while displaying its Arab characteristics in vocal, rhythmic pulse, and harmonic scale with fuzz guitar on full-surf stun. But there are other surprises, as well, such as “Kley,” which is sung in Greek and played according to a folk arrangement that straddles both traditions and seems right at home as a rock tune. Likewise, “Shisheller” utilizes psychedelic overdriven guitar and bass to fuel a celebratory Turkish tune that is sung in its native language! This is the true stunner on the set, where everything that Devil’s Anvil possessed is on display. Tracks 1 to 6 & 9 are sung in Arabic. Track 7 is sung in Turkish. Tracks 8 & 10 are sung in Greek. Track 11 is sung in English.